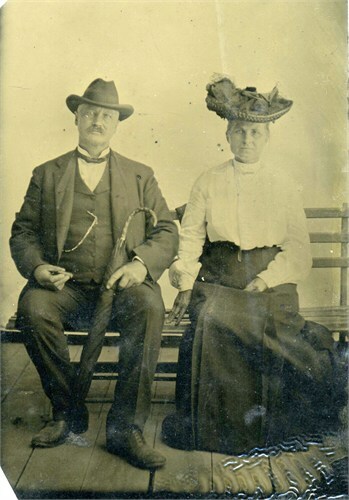 M: 1869 - USHER, Adelaide C. "Addie"
M: 1904 - Moville, Woodbury, Iowa - ROGERS, Matilda A. 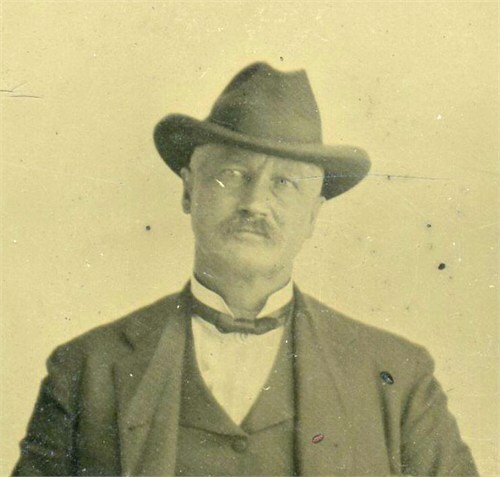 (1880-1951) "...was born at Irving, Iowa to Mr. and Mrs. Reuben Rogers on April 27, 1880, in a log cabin. 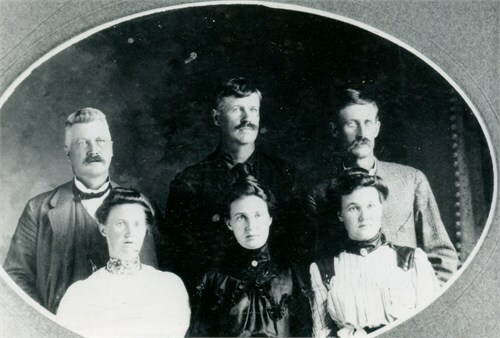 In 1888 the family moved to Correctionville, Iowa, where she grew up and became a school teacher.In 1904 she was married to Harry L. Irish. To this union one son, Lyle, was born. 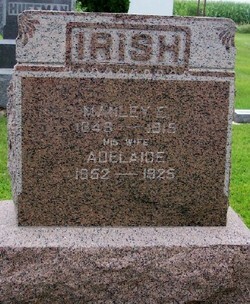 Harry died in 1910. On February 3, 1914, she was married to Alex Wood of Tyndall. Matilda died in 1951.Her son, Lyle, still makes his home in Springfield where he operates the Springfield Implement. His wife, Lil, owned and operated the College Cafe here until the fall of 1969." The below document is a form that Vernon had to fill out showing that while he was living/ working in Canada he was still loyal to the US. Listed as a "Carpenter" on the 1930 Census.